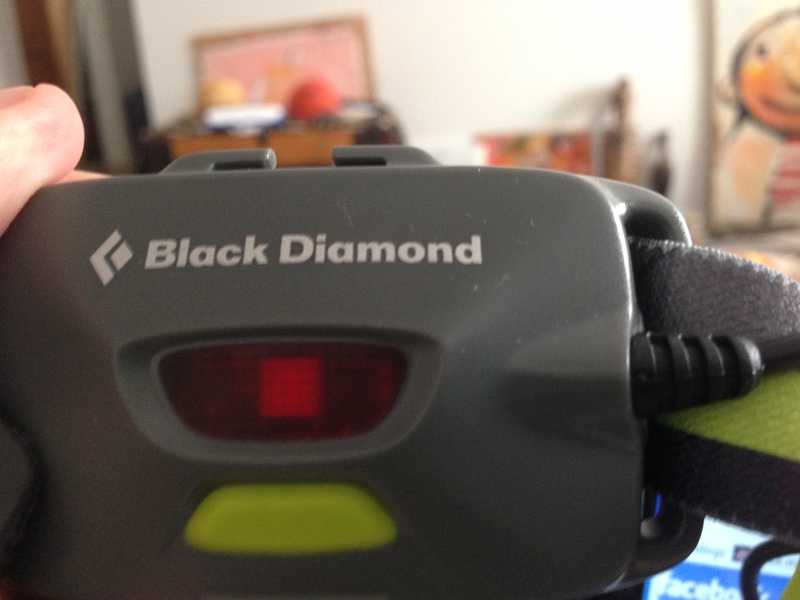 When you’re buying a headlamp for running, you don’t really much care that it has 75 lumens (how DO they fit that many lumens into such a small package?) You are ambivalent about a 42-hour battery life on low power, given that you are unlikely to live that long in a race. 30 meters? Any references to the metric system should be roundly ignored. Built-in lithium battery rechargable by USB? Whatever. Little blinky red light on the back? Yeah, as if there would ever be anyone slower than me. If your wife holds it 6 inches from your eyes and exclaims, “look at this!! !” just as she hits the high beam, does it have enough brightness to blind you for the duration of the day? I can tell you with great certainty that the Black Diamond Sprinter passes the test with flying colors. Although I can’t see the flying colors because of the large spots still in front of my eyes. Clearly they need to use the new rating scale, which should probably be named the “Mo Factor”. That Mo is such a prankster!